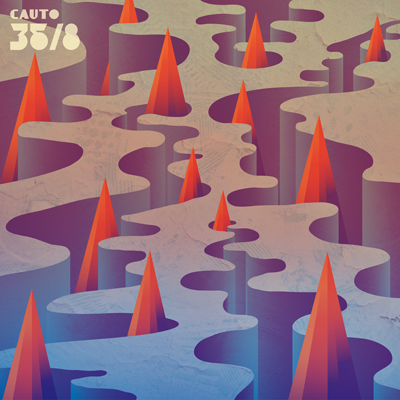 Adventurous, melodic and uplifting, ’35/8′ is the latest EP from Barcelona producer, Cauto. Each track on this EP, his second for Barcelona’s Disboot label, twists and bends the stylistic boundaries, on what is a masterfully produced adventure into house-influenced, bass music. ’35/8′ sets Cauto apart from the masses. His strong ability to craft melodies, sounds and textures and transform them into dynamic songs, proudly demonstrates his heritage as a folk musician. From the lighter, uplifting sensibilities of ‘Far From You’, through to the goosebump-arousing emotions of the violin solo on track ’8′, Cauto has produced an emotional and physical journey that will lift you through your headphones, and elevate your soul in front of the subwoofers. ’35/8′ has been featured on Mary Anne Hobb’s ‘Music Response’ on Xfm and has captured the attention of Ruckspin, Hxdb, Bunzer0 or Cardopusher among others.